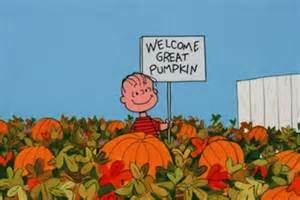 Like Linus of Charles Schultz’s “Peanuts” comic strip….I think pumpkins are GREAT! And once again, plated.com has brought another amazing pasta dish, which is perfect for those “Meatless Mondays” and is affordable enough to make on your own. 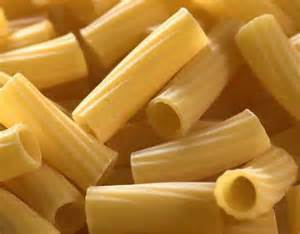 Rigatoni is a popular pasta in Southern and Central Italy. Given its ridged and tubular shape, these features enables the pasta to hold just about any kind of sauce very well. 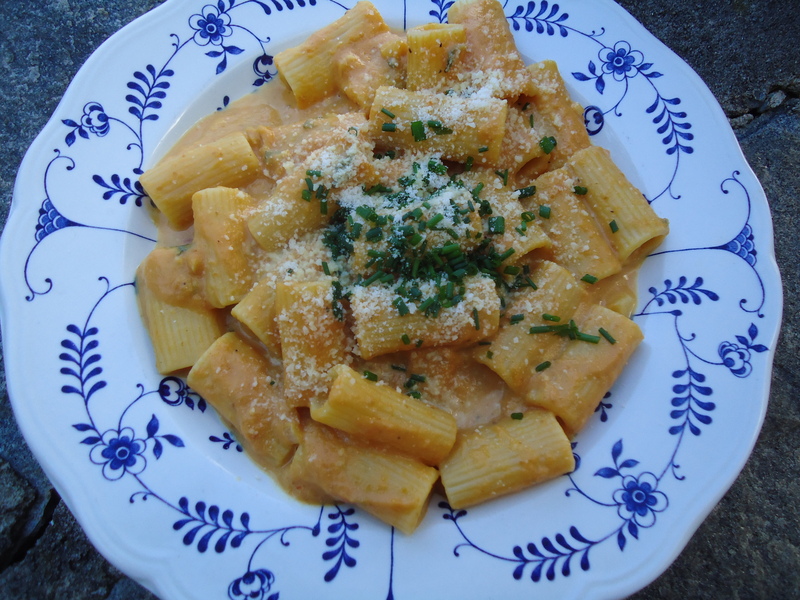 Typically, a tomato based sauce is used with rigatoni, but in this dish, a pumpkin puree is the vegetable of choice for the sauce. 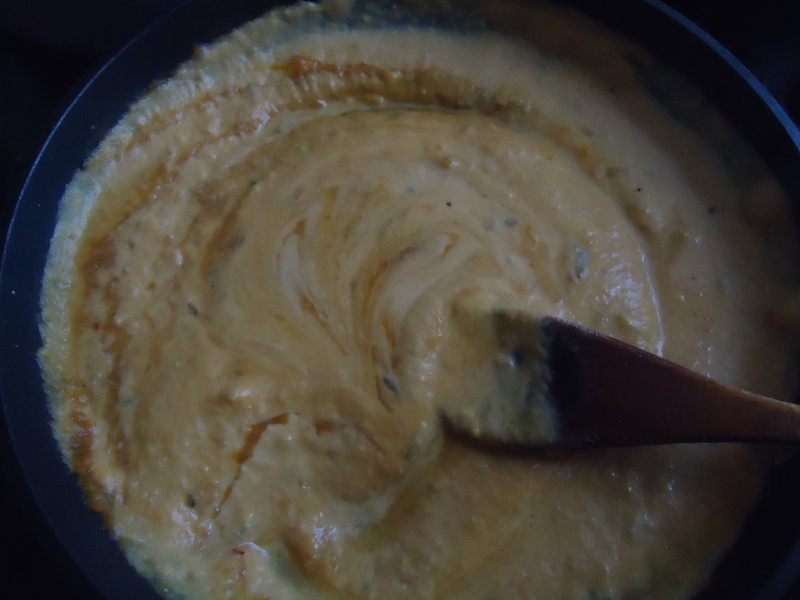 Pumpkin can be tricky and heavy in sauces. 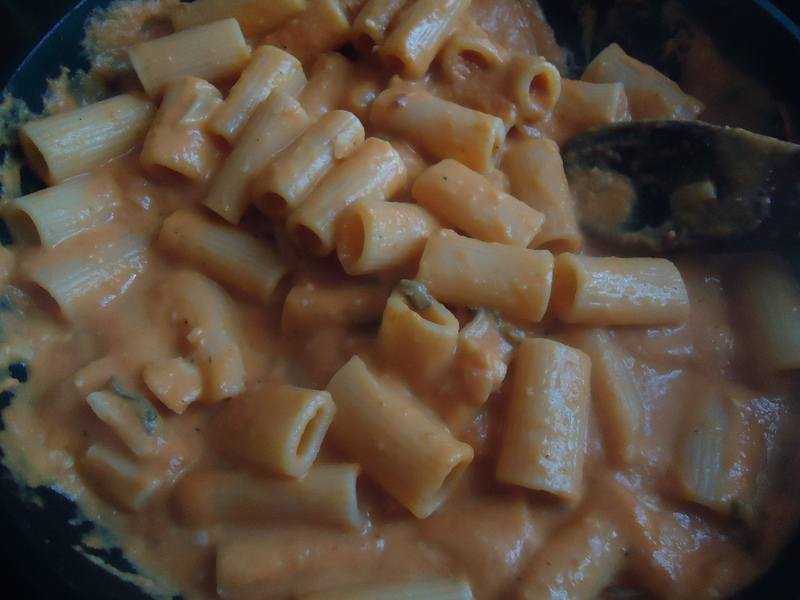 If your sauce becomes too thick while cooking this dish, use the reserved pasta cooking water to thin it out. Not only will this little trick improve the consistency of your sauce, but the starchy cooking water will also help the sauce cling better to the pasta. 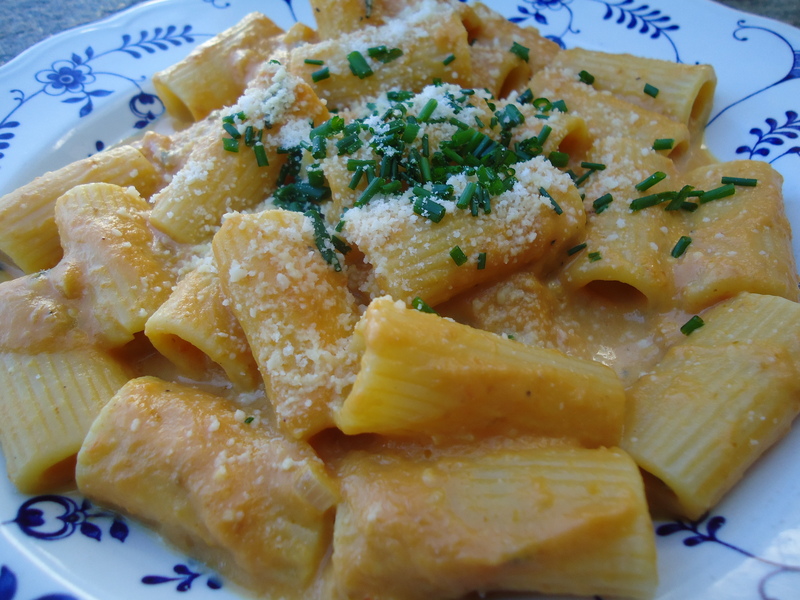 This dish also features Pecorino cheese, an Italian sheep’s milk cheese similar in texture to Parmesan with a salty, sharp flavor, which adds a nice counterpoint to the creaminess of the pumpkin sauce and pasta. Overall, this dish was easy to prepare in under 20 minutes. And it was only 740 calories per serving. A great dish for a light lunch on the weekends or a light dinner during the weekday. This dish is easy enough to expand the ingredients to serve more guests. Bring a large pot of water to boil over high heat. 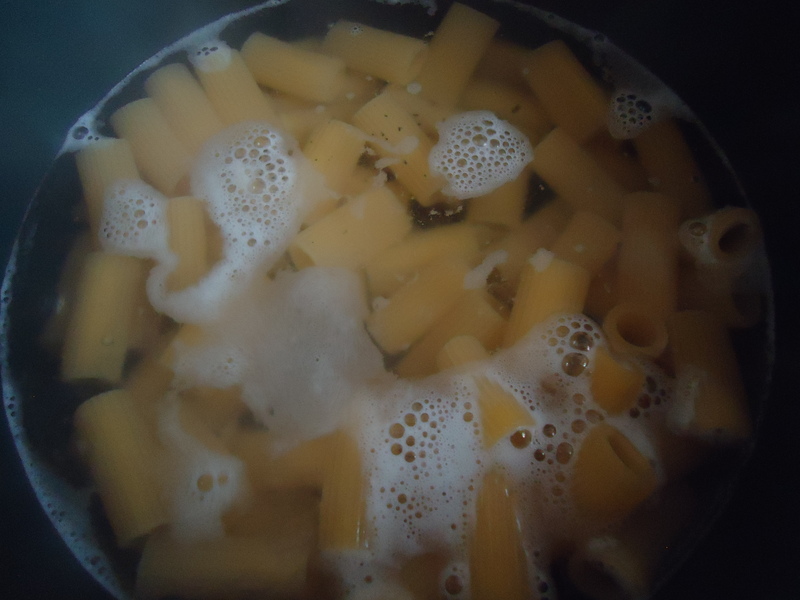 When water is boiling, add rigatoni ad a generous pinch of salt. Cook until al dente, 8 to 10 minutes. Reserve 1/2 cup pasta cooking water, then drain and set aside. Heat butter in a large skillet over medium heat. 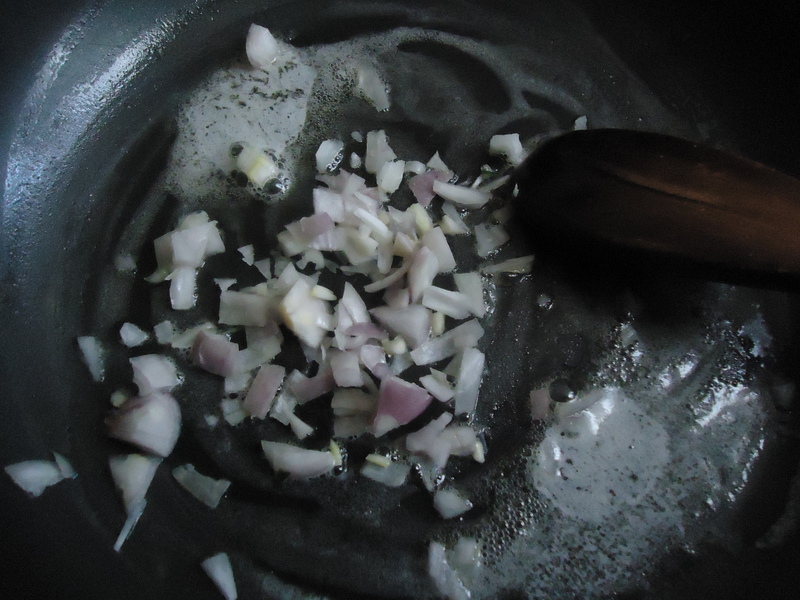 Add shallots and cook until sot and translucent, about 3 minutes. Add garlic, sage, and crushed red pepper. Cook until fragrant for about 1 more minute. 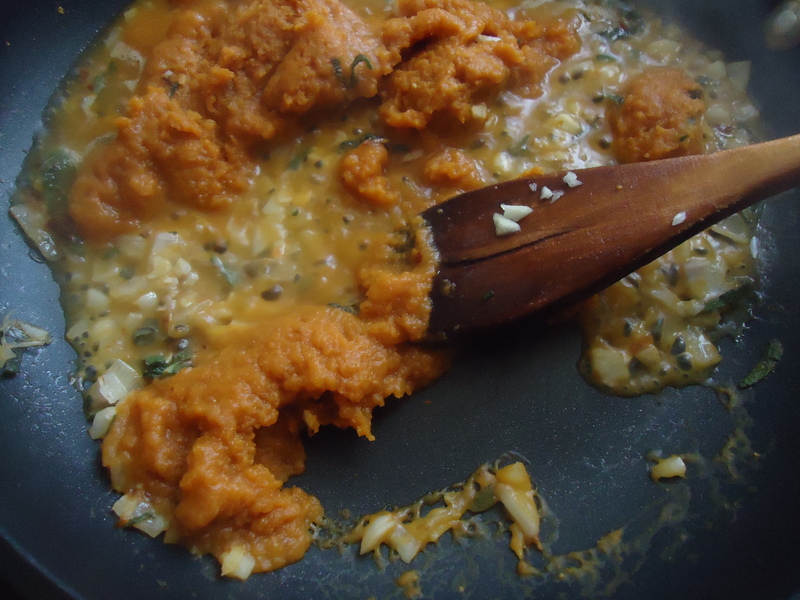 Add pumpkin puree and 1/2 cup water and stir to combine. Simmer sauce over medium heat until warmed through, 2 to 3 minutes. 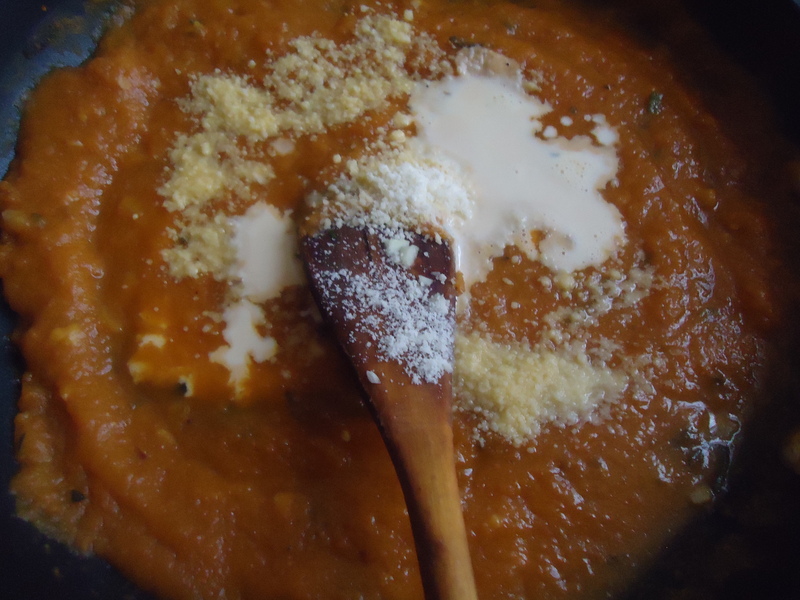 Add heavy cream and half of the grated pecorino cheese and stir to combine. Reduce heat to medium low and simmer until thickened, 2 to 3 minutes more. Taste and add salt and pepper as needed. Add the rigatoni to the skillet with sauce and stir to coat. 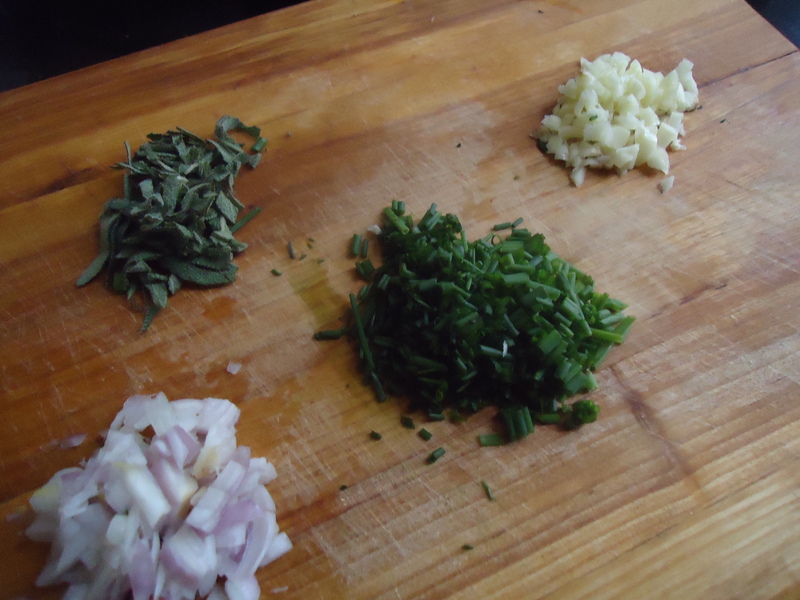 Add reserved pasta cooking water, 1 tablespoon at a time until the sauce reaches the desired consistency. 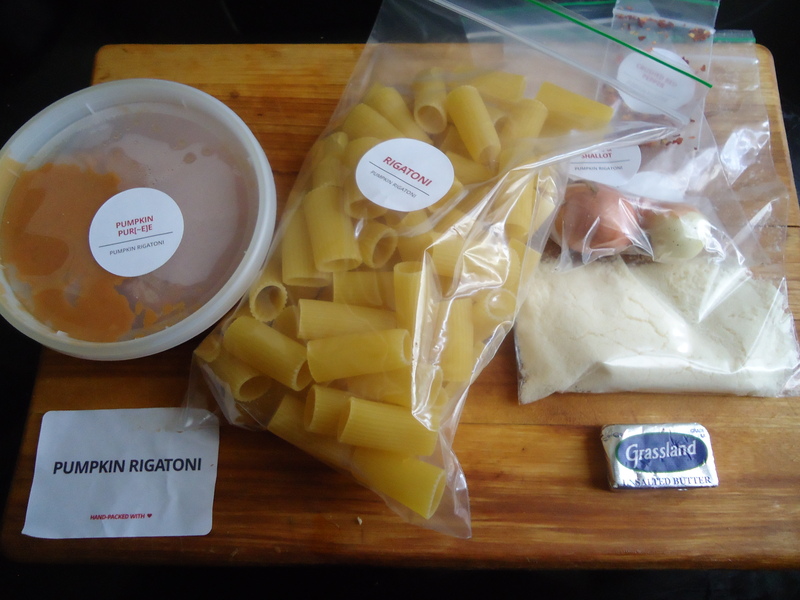 To serve, divide the rigatoni evenly between 2 pasta bowls. 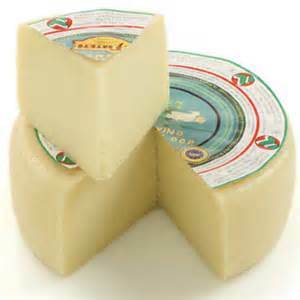 Sprinkle over chives and remaining grated pecorino cheese.